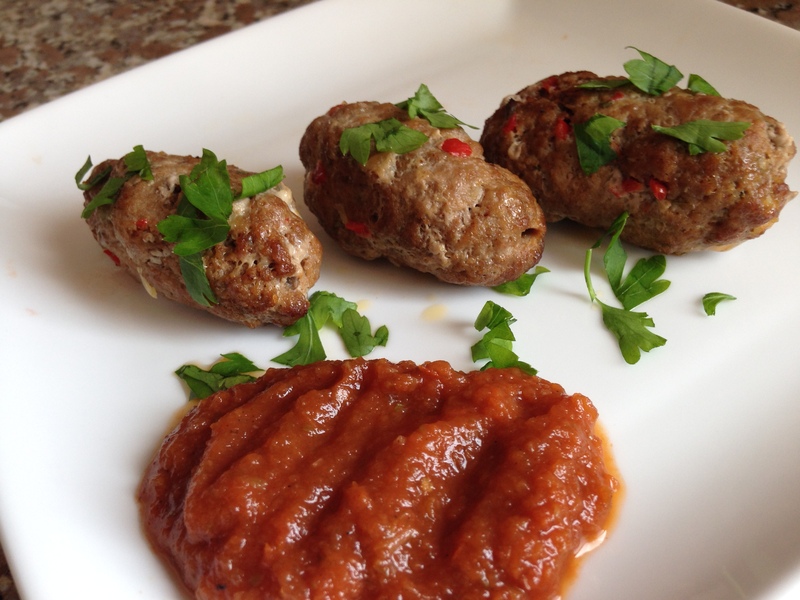 Lamb Koftas – it’s not Greek it’s Moroccan to me! This week the Greek economic situation has been headline news and hopefully it will be sorted soon as it must be an extremely worrying time for people living there. I love a kofta and wanted a recipe that could do justice to Simon’s delicious carrot salad. 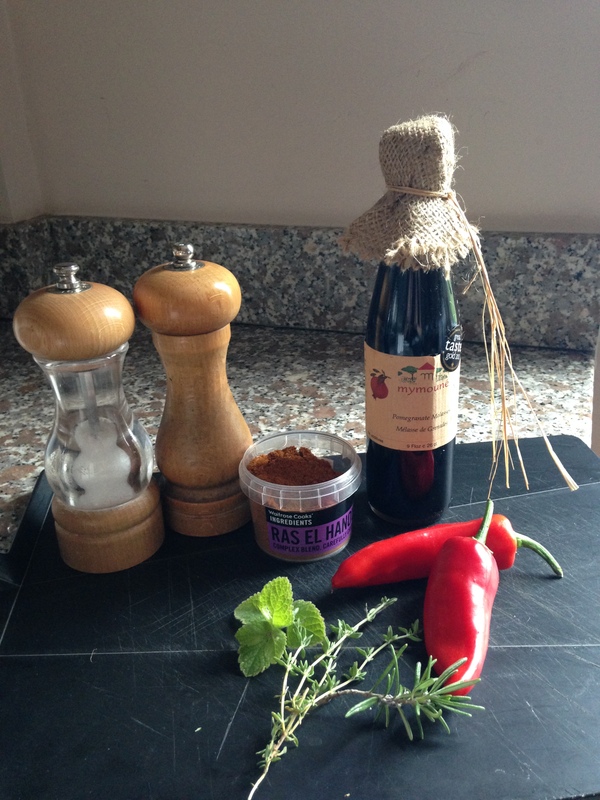 I have used some Moroccan ingredients to spice things up. A few ingredients to spice it up! Chop up the red chilli, garlic, herbs (leaves only). Add to the minced lamb & mix well. Add 2 teaspoons of pomegranate syrup , 2 teaspoons of Ras El Hanout spice mix, salt & pepper & chill the mixture for 30 minutes to make it easier to handle. It can be prepared in advance and stored in the fridge overnight. 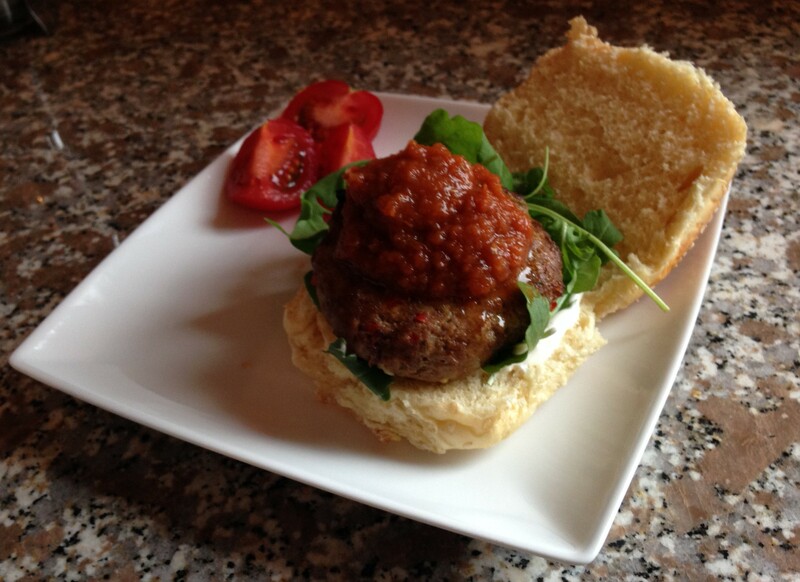 Form the kofta balls or burgers & grill or BBQ. It’s not Greek it’s Moroccan!